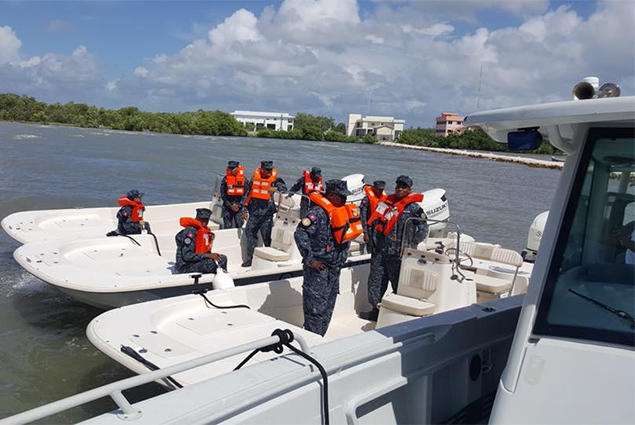 On Tuesday, August 28, 2018, at a ceremony held at the Belize Coast Guard Headquarters, the U.S. Government transferred counter-narcotics equipment to the Belize Coast Guard and counter-narcotics equipment and a secondary entry control point to the Belize Defense Force. 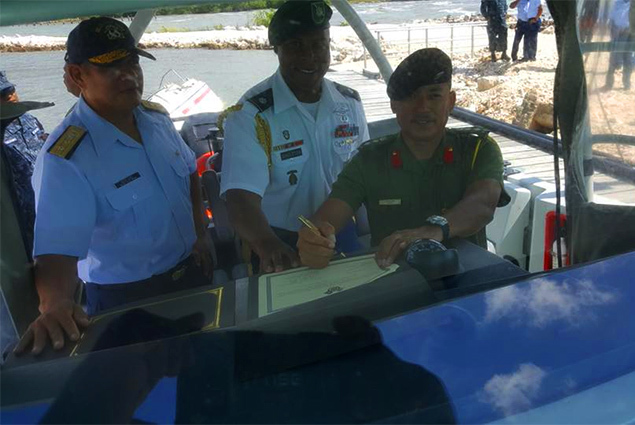 The U.S. Embassy’s Senior Defense Official Lieutenant/Defense Attaché Colonel Eldridge Singleton, Belize Coast Guard Commandant Admiral Johnny Borland, and Deputy Commander Belize Defense Force Colonel Azariel Loria were on hand to formalize the handing over. 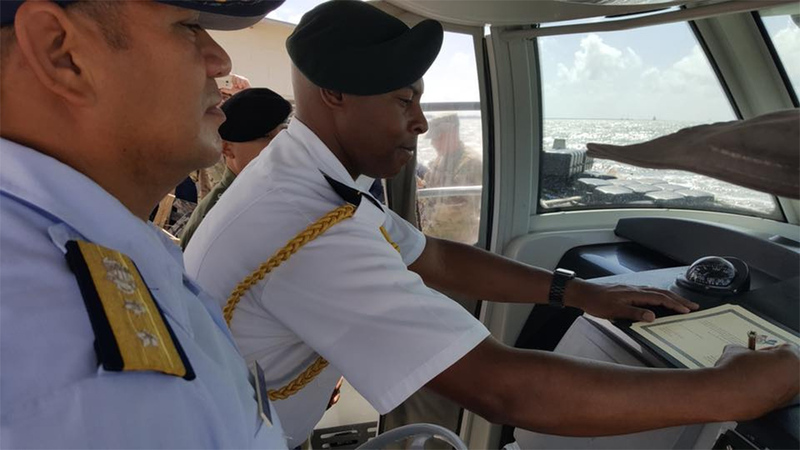 This equipment reinforces the U.S. Government’s continued commitment to the stability and security of Belize, the region, and the Western Hemisphere as a whole. The equipment is part of a continued effort from the U.S. Southern Command and was funded by the U.S. counter-narcotics program office at a cost of US$612K. This equipment donation will enhance the readiness posture of Belize’s defense forces by keeping previously donated equipment upgraded, updated and effectively functional, and also enhance capabilities in the fight to counter the activities of transnational criminal organizations. The upgraded secondary entry control point to the Belize Defense Force Base at Price Barracks is a partnership between the Light Engineer Company of the Belize Defense Force and the Anti-terrorism/Force Protection Section of U.S. Southern Command, which provided US$18K funding for material and equipment. This project will help to enhance the security of infrastructure, equipment, and personnel who live and work at Price Barracks. Gerry and Delsie are "Muy Caliente"!